The American Civil Liberties Union, in conjunction with its Texas chapter and several other progressive groups, filed a federal lawsuit against top elections officials in Texas on Feb. 4. The litigation stems from Whitley’s announcement on Jan. 25, in which he said that roughly 95,000 non-U.S. citizens were listed on Texas voter rolls, with about 58,000 of them having voted at least once. Noncitizen voting is a second-degree felony in Texas, and the purported discovery could substantially validate conservative claims of widespread voter fraud. For the past year, the Texas secretary of state’s office has worked with the state Department of Public Safety to evaluate public information related to noncitizens. The agencies cross-referenced the data with voter rolls and the process identified tens of thousands of improper registrations and potential voting felonies. Whitley then issued an advisory to the state’s 254 county registrars to more actively address voter roll maintenance issues, and further identify any noncitizens who may still be registered to vote. The American Civil Liberties Union (ACLU), however, claims the state’s election activities have amounted to nothing more than an abuse of voting rights. “This exercise is a thinly veiled attempt to advance the voter fraud myth to justify restrictive voter requirements and suppress voting rights,” said Sophia Lakin, staff attorney with the ACLU’s Voting Rights Project, in a statement. “We’re suing Texas for rolling out this error-ridden voter purge program that unlawfully targets and threatens the voting rights of eligible and duly registered naturalized citizens,” Lakin said. The case was filed on behalf of four nonprofits—MOVE Texas Civic Fund, Jolt Initiative, League of Women Voters of Texas, and NAACP of Texas. The plaintiffs’ lawsuit asserts that Whitley’s advisory is unconstitutional, and petitions the U.S. District Court for the Southern District of Texas, Galveston Division, to block all Texas counties from sending notices to individuals requiring them to prove their citizenship or from removing them from voter rolls if they do not reply. A sizable flaw in the noncitizen identification process is that many of the named noncitizens have apparently become naturalized U.S. citizens during the time period included in Whitley’s investigation. 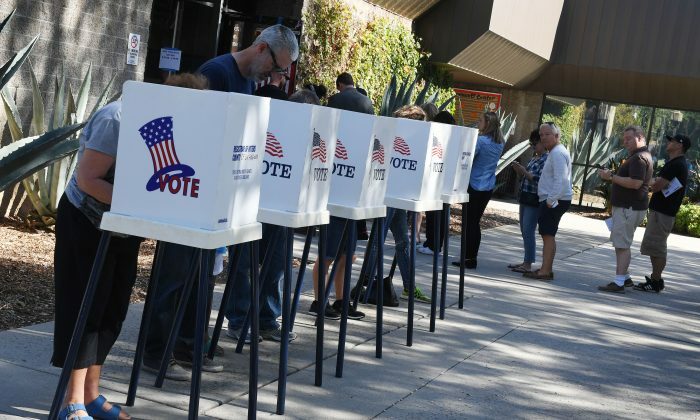 On Feb. 1, the secretary of state’s office issued new advisory guidance on how to investigate noncitizen voting after counties across the state had removed nearly 20,000 people from the lists the state initially provided. Those individuals had already proved their citizenship status through the Department of Public Safety. The mistake was immediately seized upon by the ACLU and other critics of the voter integrity project—and voter fraud in general. The ACLU also sent Whitely a letter stating that he has 90 days to cease all noncitizen voter integrity activities or it will file an additional federal lawsuit pursuant to the National Voter Registration Act. Shutting down all efforts to identify noncitizen voters due to a portion becoming naturalized citizens could impact similar voter integrity efforts. For years, the Public Interest Legal Foundation, a conservative election law organization, has touted the benefits of comparing driver licensing data against voter registration records to identify potential noncitizens. The group is currently involved in a federal lawsuit against Harris County, which encompasses the city of Houston, to access records detailing the extent of noncitizen voter registration and detection. “This shows why Harris county must release the alien voting records we have sought for a year,” PILF President and general counsel J. Christian Adams said after Whitley’s announcement last week. “We all know they exist. We all know aliens are voting in our elections. It’s time Harris and other states stop hiding the documents. Attorney General Ken Paxton and Secretary David Whitley deserve full marks for pursuing this matter and recognizing that Texas does not have a mechanism to protect noncitizens from becoming registered to vote,” Adams said.